Suffering from a back injury or chronic back pain is a long and painful struggle. 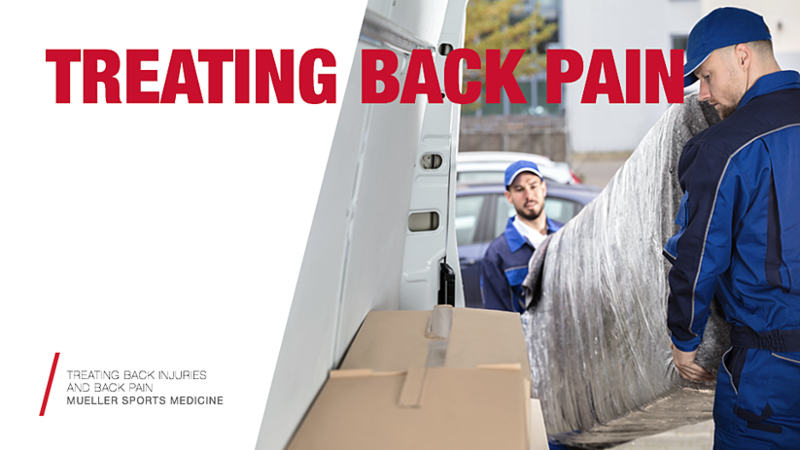 Whether you have an acute injury that needs time to heal or a chronic condition, living with back pain on a daily basis is challenging. So it's important for you to find ways of treating back injuries and back pain. As we age, especially as we enter our 30's, we become more susceptible to back pain. In America, 65 million people suffer from back pain, which is the second most common complaint at doctor's offices. Often times, the cause is a combination of several factors. Your back muscles aren't as strong as they need to be, perhaps you're overweight, you have another disease like arthritis, your job, smoking, or - the most frustrating - genetics. All of these can be factors which contribute to back pain, adding to the risk of simply getting injured and hurting your back. The most common causes of back pain are tense muscles, ruptured discs, spasms, and disc breakdown. All of these are painful and will make daily life hard until they are either healed or surgically treated. However, if you begin to notice you're having back pain, then there are several ways of helping to alleviate the pain before it becomes too severe. It's important to get the help you need for your back as soon as you can. Various braces and supports can help to provide you with that much-needed stability. Additionally, it's important to get started on the road to recovery or at least be able to successfully manage your pain, before it affects other areas of your body. This might sound odd if you're unfamiliar with medicine, but having back pain can begin to give you negative side effects such as pain and stiffness on other parts of your body. For example, if you suffer from lower back pain, you may begin to walk differently in order to compensate for the pain. When you walk differently, often referred to as an antalgic gait, you begin to shift your body's center of gravity. That, in turn, means that now your hips, knees, ankles, and feet are all being shifted, even if it is ever so slightly, which can result in referred pain in those areas. Because all of your body parts work together, one area moving or shifting can have a tidal wave effect. You should always take care of your body, especially your back. You use your back all the time, and it's important to treat it with as much care as you possibly can. That 'taking care can mean educating yourself on potential causes, remembering to pick things up by bending with your knees, or doing exercises to help strengthen your back muscles. But of course, exercise sometimes isn't enough or are not an option because of a lack of time. Back braces are a great way to help support your back. These braces are particularly effective for lower back pain, providing support for the lumbar vertebrae. Especially if you suffer from lower back pain, these braces can be the difference between being able to live your life normally, and constantly being in pain. Back pain and back injuries can be debilitating. By taking the time to take care of yourself as early as possible, you will be able to function and live your life as normally as possible. Looking for ways to help provide support and relief to your back is critical. Taking care of yourself is sometimes the last thing on your to-do list. But when it comes to back pain, you must be yourself first.